New York (TADIAS) – In the late 1990s, long before the Egyptian cabinet got caught on live television discussing to sabotage Ethiopia’s $4.7 billion Grand Renaissance hydroelectric dam project, a law professor and his students at Stanford University were quietly researching the legal case that could assist Ethiopia in the event that the inter-country conflict ended up at the International Court of Justice for resolution. In a recent interview with Tadias Magazine, Mr. Campbell recalled that two of his Stanford law students, Paul Epstein and Ken Fleuriet, had prepared a draft brief that dealt with just these questions. “International law requires upstream and downstream users to engage in equitable use of a river’s water,” he said. Egypt, which operates its own multiple dams built on the Nile, is vigorously opposing Ethiopia on the basis of a colonial era agreement that served only the interest of Egypt and Sudan. In a review article entitled “Who Owns the Nile? 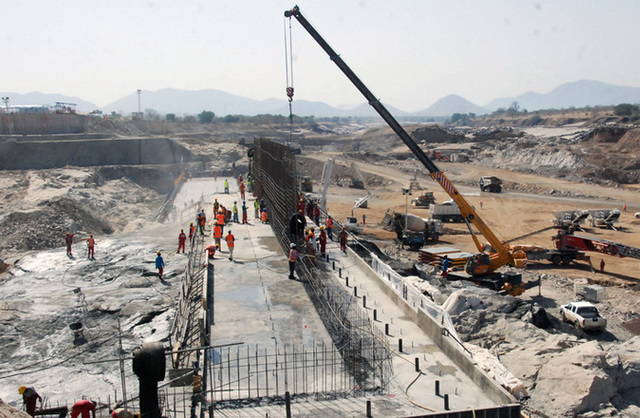 Egypt, Sudan and Ethiopia’s History-Changing Dam” published at Ohio State University, Andrew Carlson notes that “After achieving its independence in 1922, Egypt negotiated the Nile Waters Agreement of 1929 with the East African British colonies. This accord established Egypt’s right to 48 billion cubic meters of water flow, all dry season waters, and veto-power over any upriver water management projects.” Despite that over 85% percent of the waters flowing to Egypt came from the Blue Nile originating in Ethiopia, Carlson states that Ethiopia’s emperor Haile Selassie “was not consulted.” An additional colonial-era agreement between Egypt and Sudan, which Egypt claims should be followed today also left out five other upriver countries from fair use. Mr. Campbell emphasized that this essentially means sharing the river, based on traditional uses, and the value of the proposed new use. “The International Court of Justice exists for just this kind of dispute resolution,” he argued.